This year may be the last first day of school that we ever have. Our baby will start her senior year of college. We’ve had a lot of first days of school at our house. It’s been about twenty five first days of school if my math is right. So unless someone decides to go back for a graduate degree (we have two of those already) we may be done with back to school. 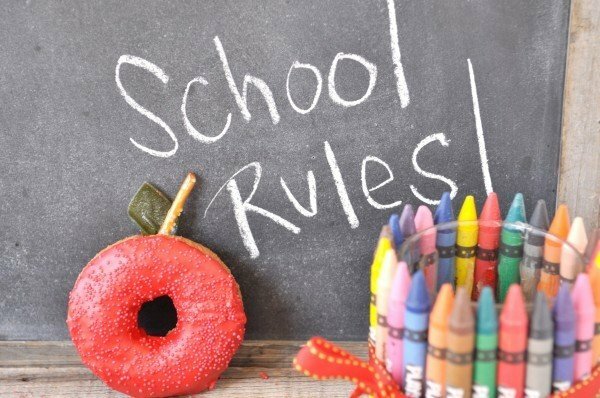 The first day of school is just not the same when they are off at college and there are definitely things I miss about the start of a new school year. I miss shopping for that first day of school outfit and new school supplies although I have been known to buy a new box of crayons just for me. I miss baking chocolate chip cookies on the first day of school for that after school snack. I miss hanging up the school bus banner in front of the house and taking first day of school photos. One thing I won’t miss is that college tuition or the cost of college textbooks! 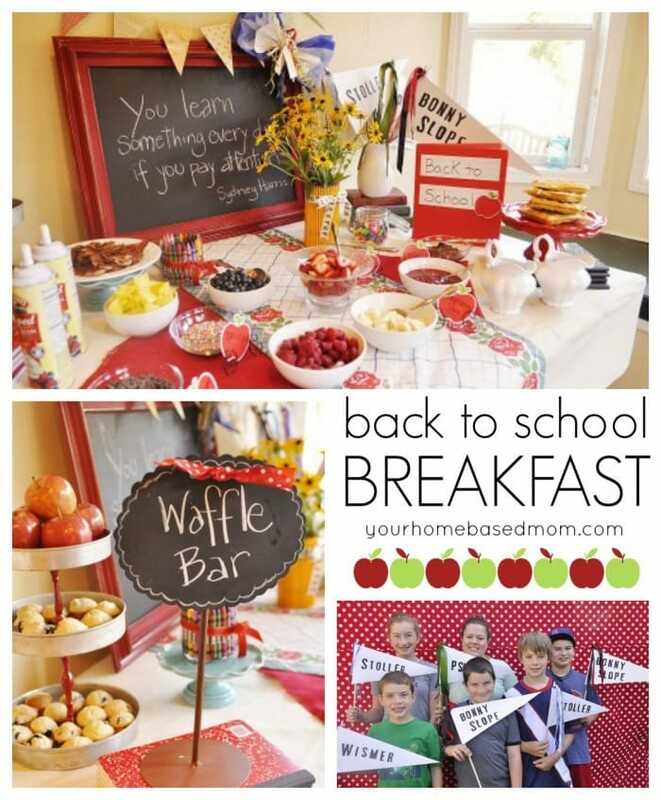 I’m just going to have to keep celebrating the first day of school with my neighbor kids by hosting a back to school breakfast each year. Donuts are always a big hit at a first day of school breakfast. What’s not to love about a donut? 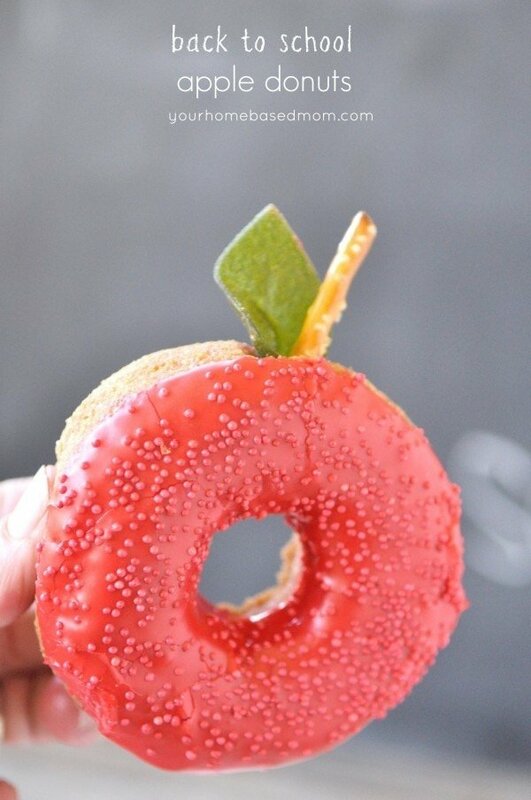 Especially a donut that looks like an apple. Apples are good for your right? So if it looks like an apple does that make it healthy?? 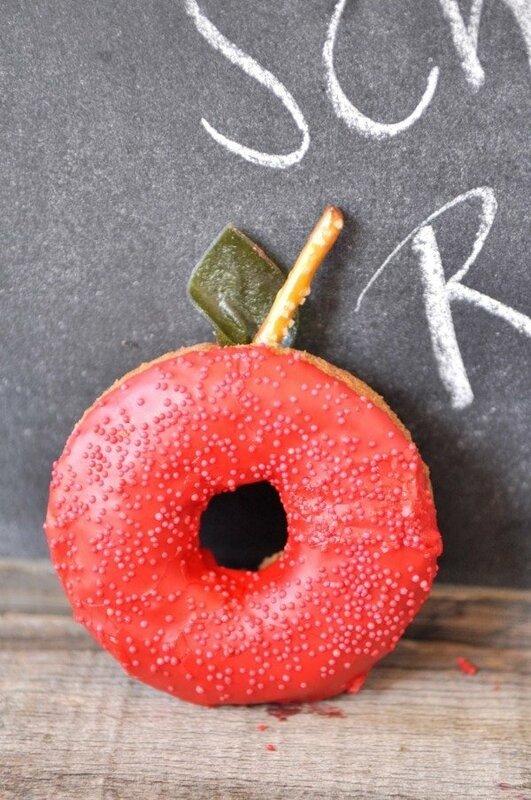 One of my girls is allergic to apples but not to apple donuts! 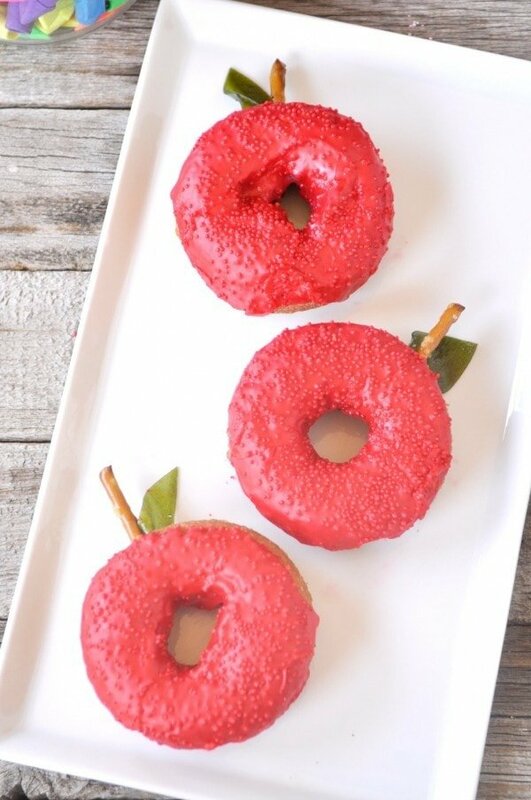 When I was at my local donut shop to pick up my maple bars for my donut rulers I shared yesterday I noticed the cake donuts and got to thinking that they might make cute little apple donuts so I picked up a few of those too. To turn the cake donuts into apple donuts I mixed up a little glaze using powdered sugar, milk and a bit of vanilla extract. It then added in red food coloring. 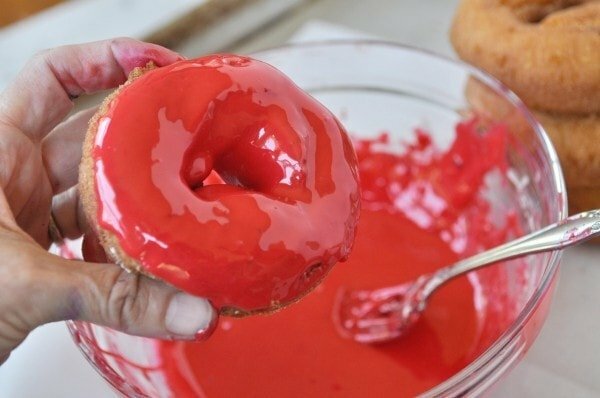 Just dip your donuts into the glaze. Please excuse the red food dye that is all over my hands! I’m a messy cook. Then since sprinkles make everything better, I added some red sprinkles. 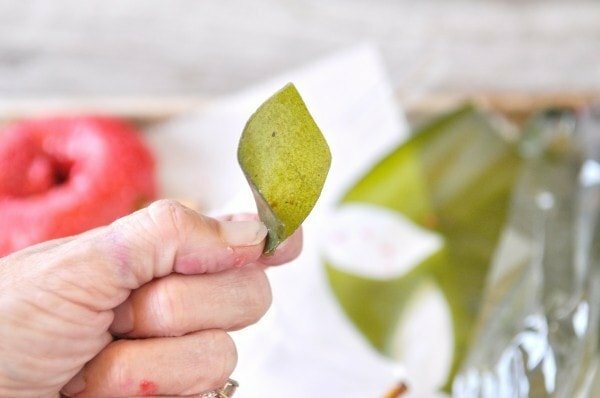 The final touch was to create a leaf out of green fruit leather. I just cut out a leaf shape and pinched it together at the bottom of my fingers. Again, excuse those red stained fingers! 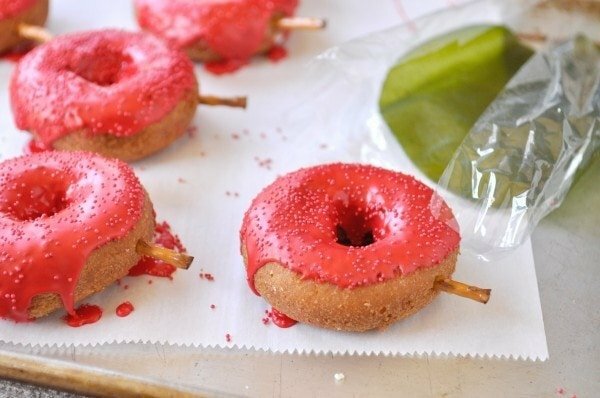 Then just stick the pretzel stem through the leaf and into the donut. Cutest apple ever! 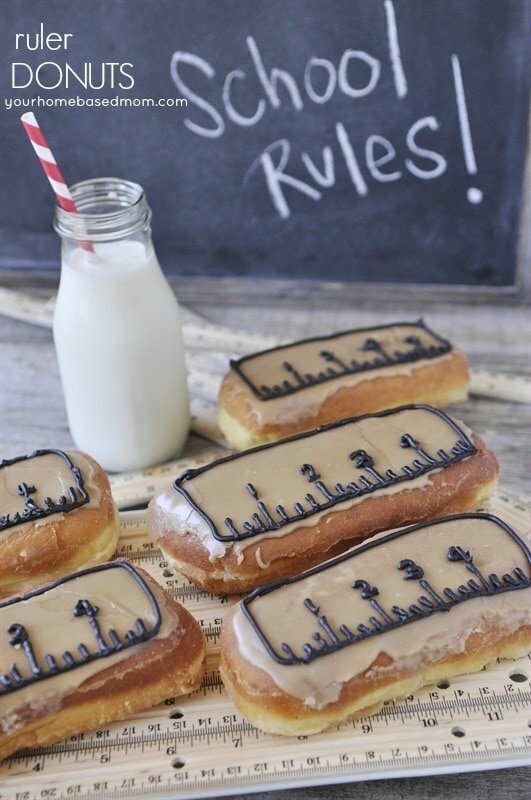 Take your teacher an apple donut on the first day of school and you will totally rule! Student of the year!! 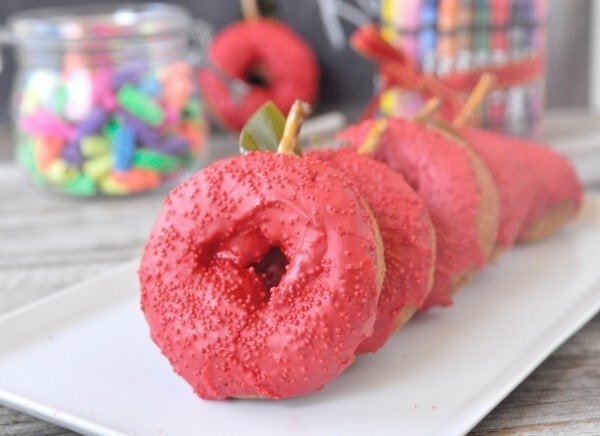 A batch of apple donuts would make a perfect treat for Teacher Appreciation Week too. 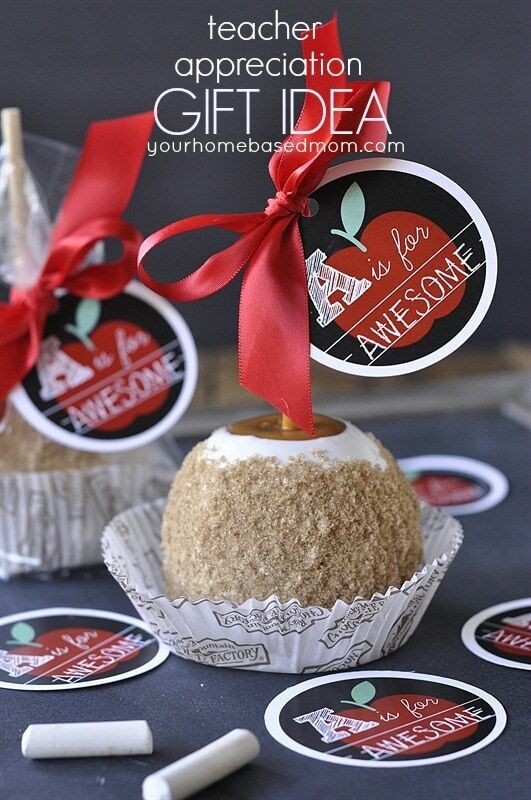 And don’t forget an apple a day keeps the doctor away! 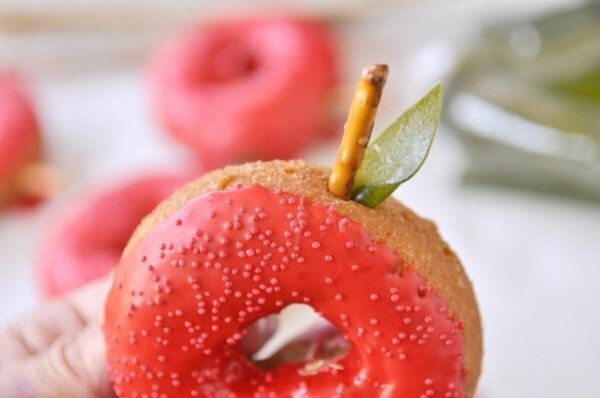 That works for apple donuts too, right?? Add enough milk to powdered sugar to make a good dipping consistency. I started with 1-2 Tbsp. Dip in front side of donut. Thanks Tiffany! I love the way they turned out. 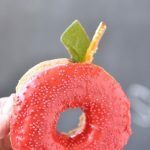 Amazing pictures, loving these donuts and they would make the perfect back to school treat for my boys! Matt, They are fun aren’t they! If you make the for your boys I hope they love them! i love this so much!! 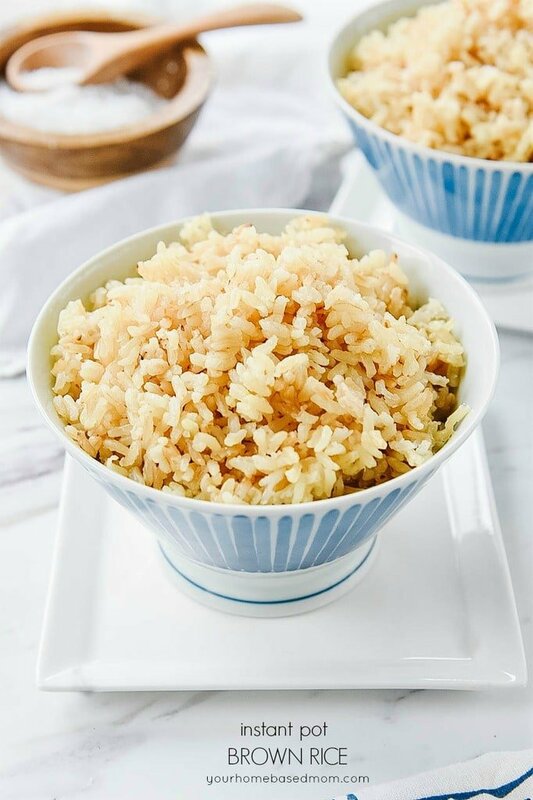 I’m going to make this for my kids back to school dinner! Hope your kids love them Kristen! Have a fun dinner Kristen! So easy and so darling. Love!! I think that these are just as healthy as an apple! Super cute! Pinned. I think so too Amy! And so much more fun to eat. These are just WAY TOO CUTE! How fun! 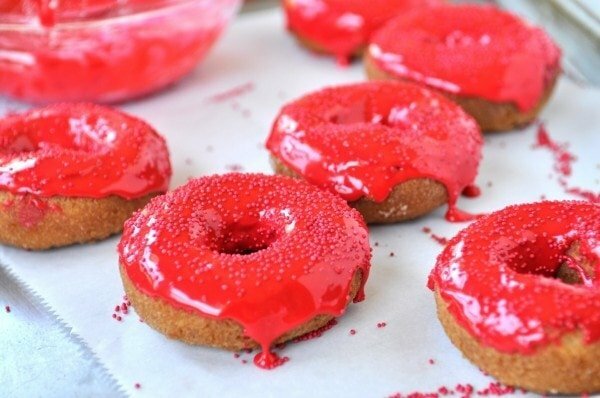 I’ve seen cupcakes done in this style before but never donuts – I think the donuts look so much better! Love the added leaves, too. 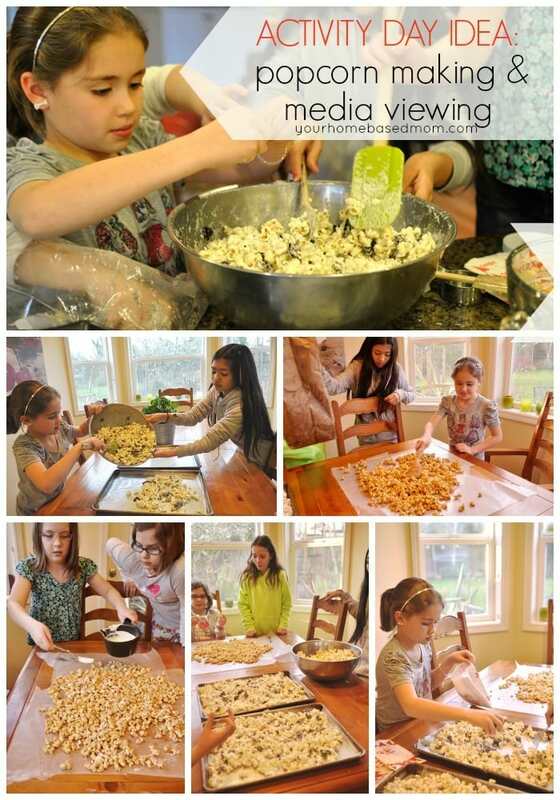 Thanks Nicola – so fun to make and eat! This looks delicious, and it’s just soo cute! I love it! 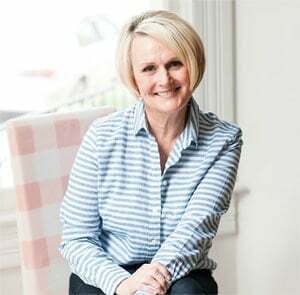 Thanks for the feature Krissy! 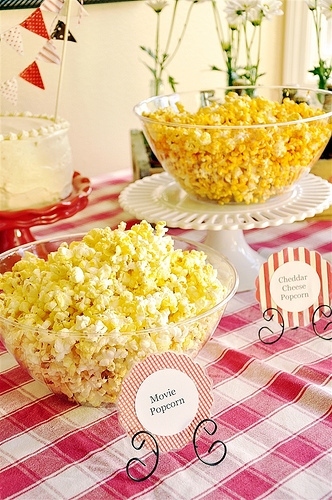 These are so cute, and look so yummy! 🙂 Thanks for linking them up to The Creative Collection Link Party! 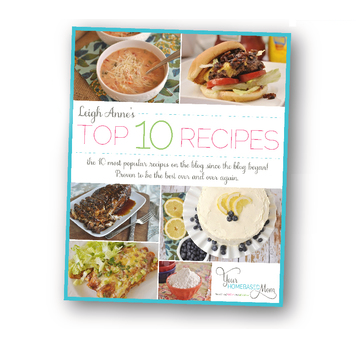 Thanks Kate – they were as fun to make as they were to eat! I’m in love with these!!! Thanks so much Aimee. I’m kind of in love myself! Just came across these and they look beautiful! 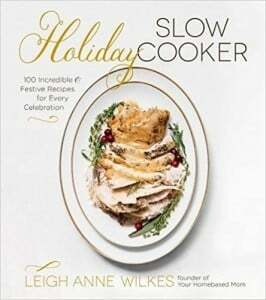 Perfect for Fall weather (which I hope we get soon!). Pinning them now – thanks!